Formerly I.C.E GEL Maximum Hold Styling Gel, Joico JoiGel Firm Styling Gel offers firm-hold gel styling. It provides excellent support, control and shine for your hair styling without flaking. In addition, the UV protectants in JoiGel Firm Styling Gel condition and protect your hair against daily environmental stress, while offering maximum styling control, body and shine for your hair. Apply as needed and craft your desired style. 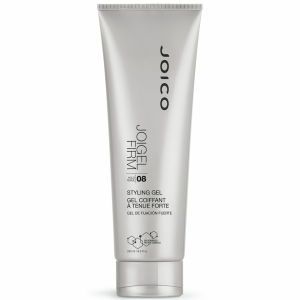 Joico JoiGel Firm Styling Gel is shampoo soluble to avoid build-up.